Why get a retirement plan risk review? Managing an employer-sponsored retirement plan is usually not the top priority for the HR Manager, CFO, CEO or other individuals tasked with the job of plan governance. However, managing a retirement plan involves personal liability (for decision makers), a risk that can be mitigated if a prudent plan management process is implemented. Often times, it is assumed that the service providers are the ones assuming the fiduciary risk and, unfortunately, this is seldom the case. We provide plan sponsors with an independent, objective plan risk review to help you identify and manage potential risks. After reviewing all documents and processes, we conduct a comprehensive analysis that documents what you’re doing right and where there are gaps that could possibly open you up to liability. We then generate a comprehensive assessment report based on all the information we’ve collected and reviewed. 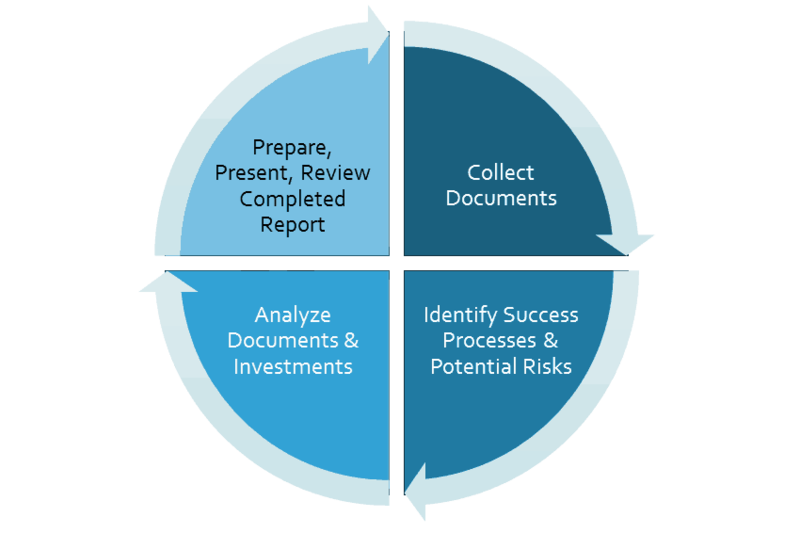 This plan risk review reports on both the successful aspects and potential risks of your plan. With this information, we can recommend solutions for any potential plan gaps and assist you in determining the best course of action towards running a more successful and compliant plan. We take a meticulous approach to assessing the state of your plan and work with you to create the processes necessary to foster success. Contact us to get your plan risk review started.